Nature Lovers and a Huge Sale!!! Hello! I hope you all had a wonderful Christmas! I've been taking a bit of a blogging break the past few days and I'm trying to get my house ready for a visit from my In Laws! They will be here on Saturday, and I still have some cleaning and organizing to do:) I took a break to play with one of my new paper packs from October Afternoon called Campfire. This darling image from Your Next Stamp called Fhiona and Fhinn Hiking goes perfectly with it! I also used a sketch from this week's The Sweet Stop Sketch Challenge #88. Speaking of Your Next Stamp, Karen is holding a Huge Year End Sale!!! You can check out the details HERE! The sale ends January 2nd so go take advantage! Thank you so much for taking time to stop by. 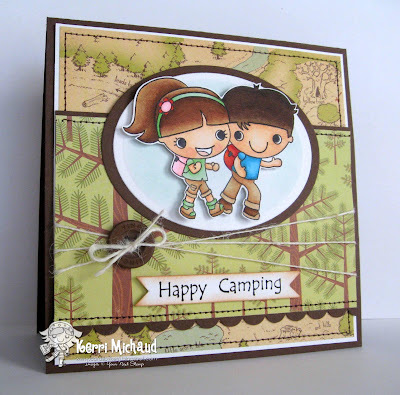 I will be back tomorrow with a fun My Cute Stamps creation that I made for today's Sketch Challenge on SCS. Your card is super cute and wonderful Kerrie. I wish you and your family a happy New Yaer. This is lovely! Beautiful paper too! What a gorgeous card Kerri,I love the image and your papers. This card is so adroable! 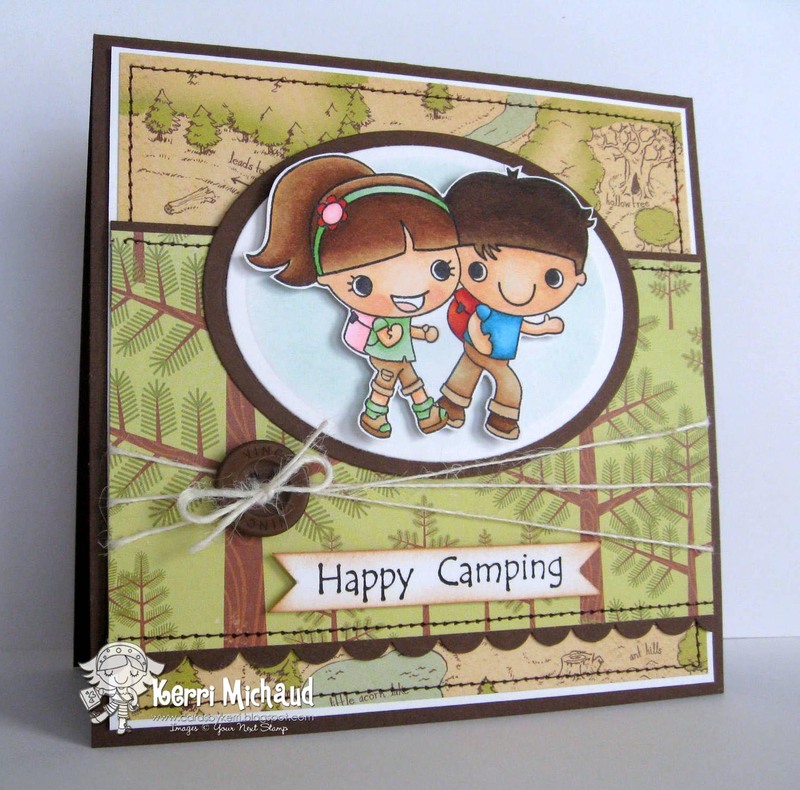 Love how you combined these DP and cute kids stamps!